The story of St Andrews begins with the Newdigate family who lived in Piesang Valley and owned a couple of farms in the area. In 1851 William Newdigate realized the need, of his family and farm workers, to enrich their lives with the Gospel and constructed St Andrews of broad yellowwood boards, which was freely available in those years, and a thatch roof. The thatch roof was later replaced by the red tin roof as it stands today. The church served 17 people of the Newdigate family and their labourers during those early years. 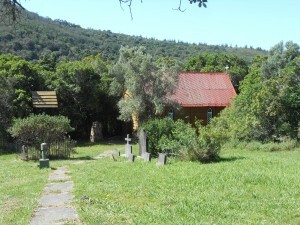 With its red tin roof and simple white cross at the top and setting amongst the lush green bushes of the valley it creates quite a romantic atmosphere. Today the church is still used for country weddings, baptisms and church services for the descendants of the original congregants. 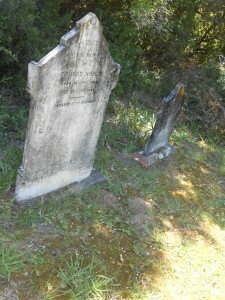 In the little graveyard on the grounds you will find graves dating back to the early 1800’s. 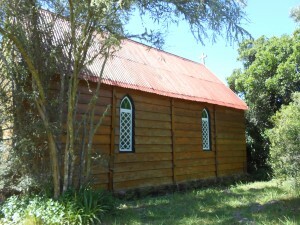 Today this little church is listed as a national monument.